From the Foreword . . . 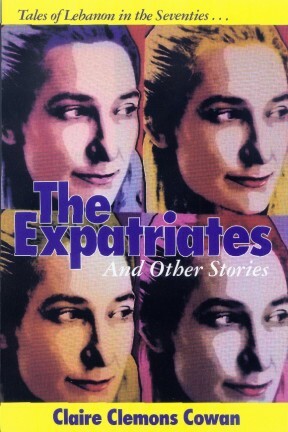 The stories in The Expatriates are the result of having lived in Lebanon as an expatriate from 1960 to 1977. I have often been asked, "What was it like living in Lebanon?" Not an easy question to answer since Lebanon is an Arabic land in the Middle East whose history can be traced back 10,000 years. It is the site of the first alphabet developed by the Phoenicians. It is the cross roads of Alexander the Great and the Byzantine Empire. It is the home of the colossal Roman ruin of the Temple of Jupiter at Baalbek in the Beka'a plain. It is a land that was governed by the Ottoman Turks. It is also the sad result of modem spoils of war (in 1918), the French Mandate (of 1928), and the French Occupation, until it became the birthplace of a modern, free Republic (in 1946). It is the land that was saved from civil war by the U.S. Marines (in 1958). Finally, Lebanon is the place of modem urban warfare (from 1975 to 1992) and suffered the brunt of Israel's launching of "The Grapes of Wrath" with the United Nations soldiers being shelled in Qana in 1986. It is also the place nearly 300 marines lost their lives--bombed in their apartment building during the strife of the civil war. And it is the city known for double agents and Western spies and foreign journalists. While living in Beirut as an expatriate, I was a free-lance journalist as well as a teacher and mother of two small children. In The Expatriates and Other Stories I have chosen to tell the stories I know how to tell, casting light on contemporary events with contemporary expatriates caught up in life as it was and is lived by expatriates, being permanent residents of Beirut. The stories are fictional treatments of real people who suffered the Six-Day War on a colossal scale and who suffered through the mishaps of crimes and disillusionments characteristic of the last five decades in cities all over the world. A few of the stories are light-hearted, nevertheless, the characters suffer the chaos, the follies, and the charms of living in the `Paris of the Middle East'. Expatriates in Lebanon have an unusual freedom. Against the backdrop of an Arabic free society, expatriates rarely lead the way, rather they follow the norms of a universal, foreign society whose morality and way of life is characterized by the trials and fears of ordinary twenty-first century people. The woman was stunned by what she saw. Her street was in rubble from tank fire. Her son was missing from a freedom demonstration he had joined the day before--marching with hundreds of youths through the streets of Homs, both an ancient and modern Syrian city. The woman had known little of her son's enthusiasm, nor the fervor of the boys he had joined, their fomenting plans for city-wide rebellion. She had heard the first rumblings of tanks in the predawn hours and the occasional shouts from across the narrow street--Venetian fret-worked balconies hanging over. When the tank volleys began, she had run from her widow's bed to the interior bedrooms of her three children. Her twin girls roused sleepily to inquire after the noise that ricocheted through the night. Her boy's bedroom was empty. He had not returned when the first curfew had been shouted along the street. The woman had drifted off to sleep reading the daily newspaper of winter stories, of old boys throwing rocks in the streets across town where tanks were amassing against a student-led strike. She now wondered if her boy had been caught on the streets of her neighbors and had been led to the police station nearby, his arrest along with others from his school. The woman climbed the stairs to her flat and went into the kitchen. No sign of her son there. Her living room windows had been blown out, but the tiny, ill-equipped kitchen remained intact. She poured herself a glass of thin yogurt. She had had to thin the milk for the yogurt with water from the tap the day before. Now, she worried about malnutrition. The woman downstairs was a nurse who had told her horror stories of gaunt-eyed children who had suffered malnutrition during former civilian seizures of the city. Since her husband had died, the woman had beggared herself in the main street of the town near fashionable shops whose customers had a reputation for generosity. And she had not been disappointed. She had begged in the three languages of her childhood education: Arabic, French, and English. She had been lucky to have had a father who educated his daughter; first, at home, then, at a secondary school where she had had to don a black veil. When her father had suggested marriage at sixteen, she had been willing to take a prominent, older businessman for a husband. He had taught her commerce and bookkeeping. But when he had taken a partner, and she began having babies, she had retired to domesticity in a newly acquired, modern flat. Life was good. Then her husband . . .